The world is moving at a very fast pace and one of the endless joy known to man is the ability to travel the world in the comfort of his own home. But how? you may ask, through reading of course. Trajectory is a company based in America, they have come up with a fantastic way of recommending books to readers. To find out how this works, please read on. 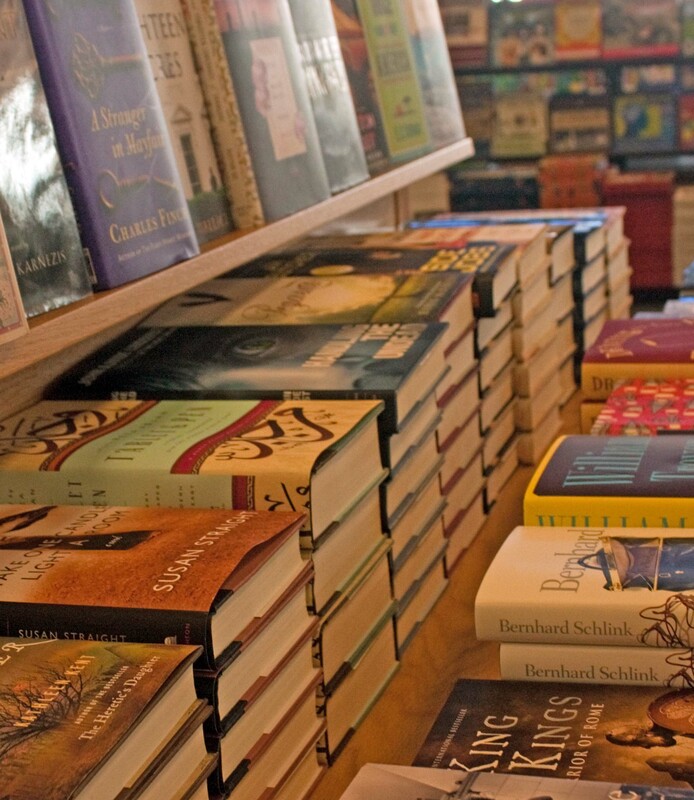 This article was originally published by the Bookseller. The Trajectory-Bowker agreement may create one of the first showcases where the publishing industry can see the shift represented in the Trajectory technology’s potential. eBooks a reader discovers through Trajectory’s analysis, then, are reflective of other work the reader has enjoyed. It’s easy to see how a major online retailer might want to use such technology. If you buy a book, the Trajectory system can then generate recommendations of other books based on the first purchase’s characteristics. Some of the “deep learning” representations the system creates, including a “sentiment curve” that characterizes sentences, paragraphs, chapters, and entire books with numeric ratings of a book’s emotional qualities — which Trajectory’s algorithms then match to other books. In one comparison, for example, Charles Dickens’ A Christmas Carol has an emotional peak about two-thirds of the way into the book, then soars to a high at the end, while Anna Sewell’s Black Beauty, graphed against it, runs a far subtler course, never reaching the emotional intensity of the Dickens book. Frank Baum’s The Wonderful Wizard of Oz provides a nearly opposite curve from the Dickens, dropping in intensity two-thirds of the way in, but then rising powerfully to an emotional finish. Similar to the process used by a retailer, Bryant says, “through the API, we can allow a library distributor to let a library generate specific shelves [of ebooks] for a patron. If the library shares with us a list of books the patron has read, we’ll then be able to present a customized shelf” of similar books for that patron. Beatty and Bryant’s Trajectory.com site displays collections of books being analyzed by the system and resulting recommendations. One collection focuses on London, another on outdoors stories, another one on news-related books referencing the CIA, etc. George Tenet’s At the Center of the Storm: My Years at the CIA (HarperCollins, 2009), for example, can be viewed not only for its “sentiment” graph but also for its “intensity,” as well as for its places, people, adverbs, adjectives, verbs, nouns, and for statistics including its “adult reading time” (11 hours, 27 minutes), the average lengths of its sentences and words, total word count (171,852), unique words (8,086), and more. In At the Center of the Storm’s recommendations section, you see Bush vs. the Beltway: How the CIA and the State Department Tried to Stop the War on Terror by Laurie Mylroie (HarperCollins, 2010) making a strong showing in many categories of comparison. As a side-product of this work, Bryant adds, plagiarism can be detected by the Trajectory system as it attaches confidence ratings to its recommendations. A match of text at an extremely high level between two books might indicate plagiarised content. Trajectory “is providing a decimal” to clients as it operates, Bryant says, “and the decimal reflects the uniqueness of a keyword and its use in the book and in the English language. If the client — a retailer or library — has the ability to weight words provided to them and only use words of a certain weight, then another criterion of recommendation is available involving the linguistic sophistication — or at least range — of a book. “It’s also really interesting to pull out vectors like sentiment, then take all of an author’s books and see the similarities within one writer’s work” on such a scale. Can you, as it were, recognize an author’s work on such a concept as a sentiment graph across his or her books? What’s more, Trajectory’s analysis is also being used now, Bryant says, to allow customers of certain retail/distribution partners in China to select English-language books. By matching simplified Mandarin characters to keywords that Trajectory develops from a book’s text, that book may become discoverable in a Chinese search. Publishers in China eventually may be interested, on the other hand, in having their own books searchable to English readers — enough enough search interest in a title could be a prompt to get a text translated and produced for new markets. As authors including the self- and traditionally published author of the new The Shell Collector, Hugh Howey, has written, something many in publishing have wanted from their technology is the ability to tell when readers stop reading an ebook, or skip over passages, or re-read or abandon sections or entire books. The fact that Trajectory’s offering is capable of similar output reflects on how competitive the marketplace becomes in various areas of publishing at given times. “Once raw data is exposed,” as Bryant puts it, it might come down to whose idea of how to apply and deploy that data is the most attractive and salable. For example, he points out, “At the end of the year, there are so many popular-book lists. And Scott [Beatty] had circulated a link to Google’s most popular search terms for 2014. What we’d like to do is publish a statistical bank that would show the most popular words of a year used in books published at the time. We could see trends in character and keywords over time.” Something like this, especially compared to high-ranking keywords in a matched historical time period, might help explicate how literature reflects cultural concepts in westerns or romance or science-fiction. The list of eBook distributor-partners Trajectory is working with is a who’s who of international channels, including Ingram, Apple, Amazon — with particularly strong ties to JD.com and Amazon China (“a very progressive company,” Bryant says) — as well as Google, Foyles, OverDrive and more. And in its Small Demons asset acquisition, the company gained the HarperCollins library, and also is working with publishers including Abrams, Hachette Audio, Scholastic, Canongate, and more. Bryant doesn’t say this, but it seems logical to think that if one of the major’s libraries — HarperCollins’ — is in the Trajectory database because of the Small Demons acquisition, then other majors might be keen on seeing their own catalogs “read” by the machines in Boston so that searches for recommendations can turn up their books, as well. More announcements of formalized partnerships are to come shortly, Bryant and Beatty say, as Trajectory’s system of semantic analysis comes online.